We’re experienced in asbestos removal and encapsulation. Our trained team offers mould remediation and removal. We have extensive knowledge and up-to-date equipment. 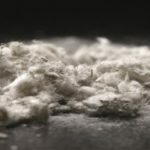 Specializing in mould and asbestos removal, A&M Abatement knows how important it is for you to ensure the safety of your family, employees and indoor environments. We follow industry-tested procedures and practices to safely remove these harmful substances from your residential, commercial or industrial property. Call us to get a free estimate for your abatement jobs in Edmonton and area. You can also connect with us by liking us on Facebook. Interior Demolition and how is the cost estimated? Can Mould Removal Be Covered by Insurance? Training should really be directed at every specific free of charge. A&M Abatement has an experienced team of trained and confident abatement professionals who know what they're doing, and have the skill to adapt to small or large projects in varied circumstances and conditions. Your well-being is important to us! That's why we don't stop at removing hazardous materials—we also inspect other areas of the property to make sure it's completely protected and free of asbestos, mould and other harmful materials.